Automatic (Caution) Doors - The Chip's Challenge Wiki - The Chip's Challenge Database that anyone can edit! Red switches will activate the toggle doors for 2.6 seconds. 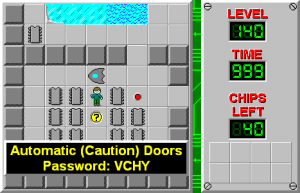 Automatic (Caution) Doors is the 140th level in Chip's Challenge Level Pack 1. It was created by Andrew Menzies. 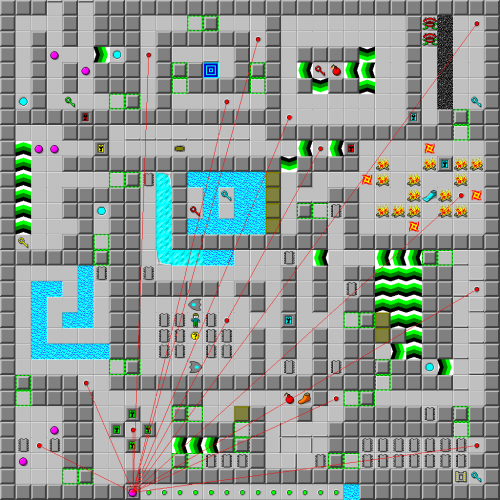 The sequel to this level, Repair the Automatic (Caution) Doors appears in CCLP4 at the same level slot.